Curriculum Vitae (CV) Name : AbdulRasool Kareem Mehdi Abusaibe Date of Birth : 1976 Gender : Male Official Address: Academic in College of Law , Kufa University in Iraq since 2003. Address : Kinda area, Kufa, Najaf, Iraq. E-mail address : [email protected] [email protected] Education level: - B.Sc in Law.College of Law، Babylon University، Iraq, 1999-2000 - Having A Degree of Master in Private International Law(Conflict of Laws) and my thesis title is "Recognition and enforcement of judicial judgments and arbitral awards in International Conventions - comparative study -", College of Law, Babylon University, 2002. 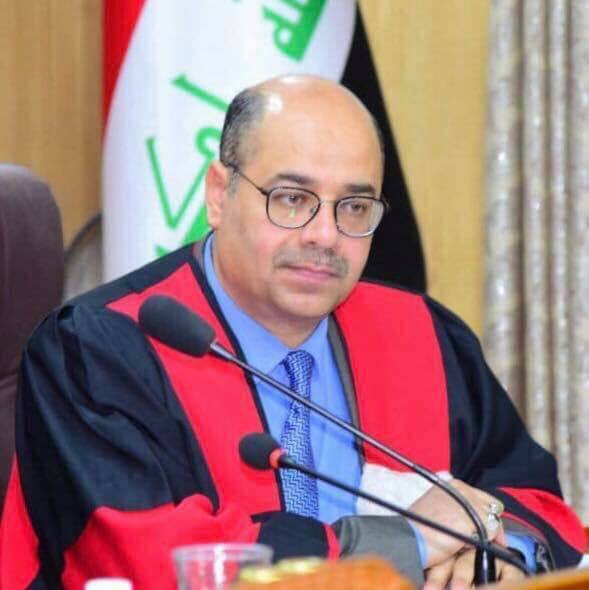 - Having A Degree of A doctorate in International Law, College of Law/ AlNahrain University, the topic of my dissertation is;" the Customary Rules in International Law " 2015. Membership: Member in: - The Iraqi Lawyers Union. -The Iraqi center for federal studies. Languages: " Arabic " English (good). I have a certification in English from (The Center of English Language Test from Babylon University my rank was 2nd 2000). PC SKILLS: - I have very good experience in Microsoft office (word & PowerPoint). - I have good knowledge in using Internet such as Web search، E – mail. Scientific Experience: A participant in Round Table for Academic Circles in Iraq, 4-5 October 2016 in Najaf. -" Lecturer in Private International Law ( Conflict of Laws ) in College of Law,Kufa University since 2005 till now, an Political Systems 2004-2005,2008-2009. -" Lecturer in Civil Procedure and Personal Status in Legal-Administrative Department, Technical Institute, Najaf for two years 2002-2003,2003-2004. -" Lecturer in Constitutional Law in Political Sciences in Law Departments, Universal Islamic College, Najaf 2003-2004. - Lecturer in international organizations now. - "Participation in the third federalism course in Amman 11-24 / Feb. /2008 which be held by Forum of Federations. Published Books: Customary International Rule, 1st edition, Dar AlSanhury, Beirut, 2017. Published Researches: - The Recognition of International Legal Personality. - Formation of Customary International Rule. - Customary International Rule and Effect of Bilateral Acts on it. - Characterization in Conflict of Laws. - International Judicial Jurisdiction in Conflict of Laws. - Judicial Jurisdiction in Nationality Actions. Administrative Experience: " A Vice-Dean for Administrative Affairs in my institute (College of Law/ Kufa University) for two years 2004-2005,2005-2006. " Dean of Political Sciences Dep. In Universal Islamic College، Najaf 2003-2004. Assist. Head of public law department at 2013-2014. Other Activities: -" I have much active participation in conferences about the Constitution of Iraq. -" A participation in legal committee to preparing the Law of Investment in Holy Najaf 2005. -" An active participation to preparing internal laws for many academic and scientific institutes particularly ;Al-Alamayn Institute for Higher Studies, Universal Islamic College, Al-Balad Al-Ameen Foundation, Iraqi Academics Fellowship .